At the crossroads of tradition and the avant garde, Moissonnier continues to carve its own style, personified with emotion, inspired by fantasy, and always with their own meticulous but idiosyncratic character. 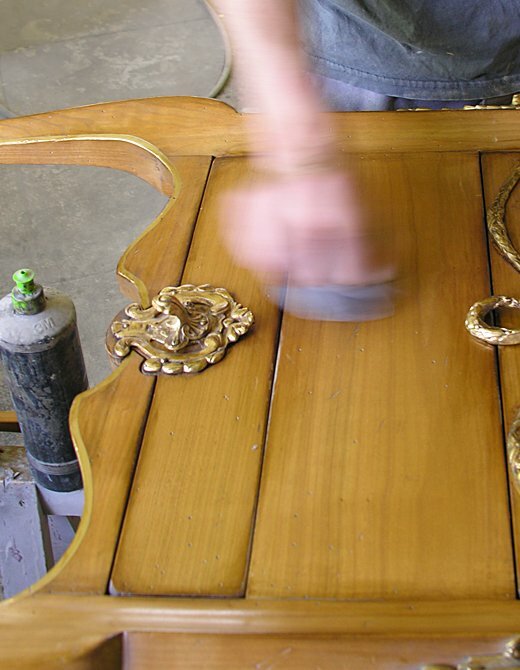 Exacting standards to the last detail are reflected in their expertise of cabinetmaking and all aspects of carving, marquetry, and patinas are higly appreciated. Known globally as being the leaders in their field the company creates lifestyle whilst a commitment to preserving the environment and thus life itself is actively followed. These values contribute to make Moissonnier the desired choice to a discerning clientele. A brand synonymous with bold and innovative design. A comprehensive collection and recognised trademark to the design professional, respecting tradition and creating timeless appeal of a quality that lives up to the originality of their design. The birth of a great firm. 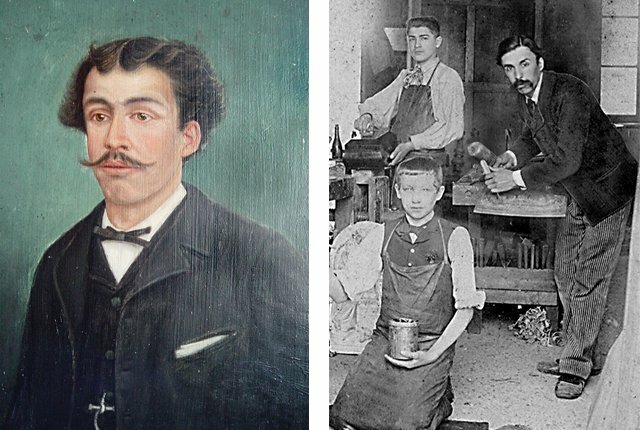 In 1885, Emile Moissonnier founded his workshop in Bourg-en-Bresse at the heart of a forested region offering a rich supply of oak, ash burl and burr elm, as well as fruit woods such as pear, cherry and walnut. He was a talented painter and sculptor, the epitome of a creative craftsman, designing each item of furniture as a unique piece. 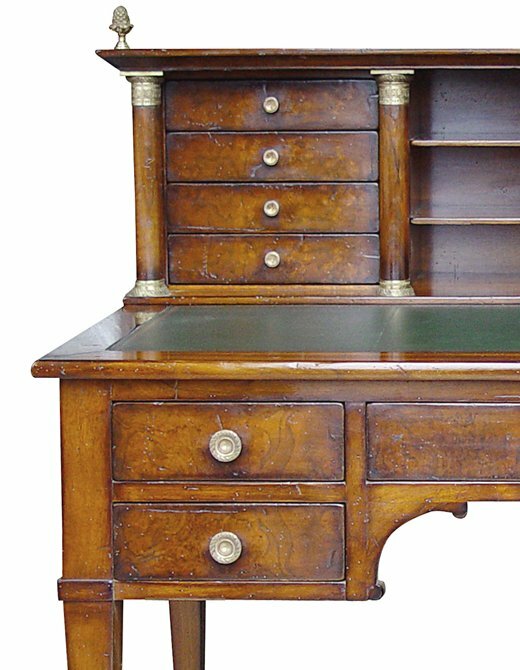 He was the first in a line of inventive furniture-makers that to this day continues to perpetuate the tradition of beautiful workmanship. The building of a new factory. In 1923, Emile Moissonnier was succeeded by his two sons Gabriel and Paul, who expanded the workshop to the scale of a factory. A few machines were brought in to assist the craftsmen's hand, which remained the key element in a production perpetually defying the laws of standardisation. 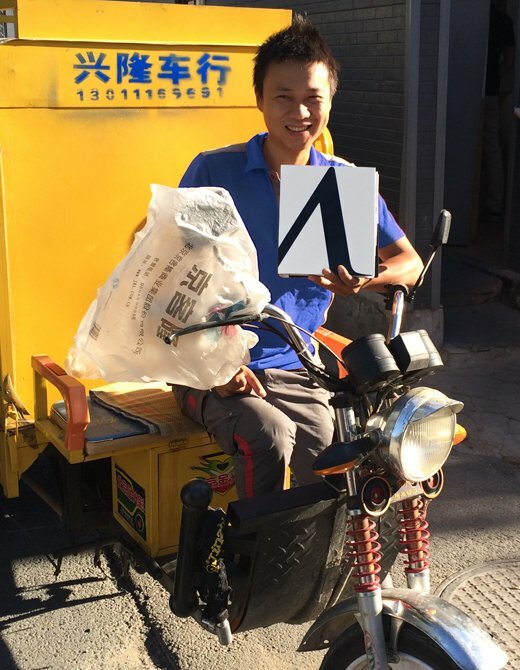 Production increased and furniture began to be exported. By now, Moissonnier was recognised around the world and given pride of place in stores as pretigious as Bloomingsale's in New York, where the brand has been distributed since the 1960s. The emergence of a label and the invention of a style. 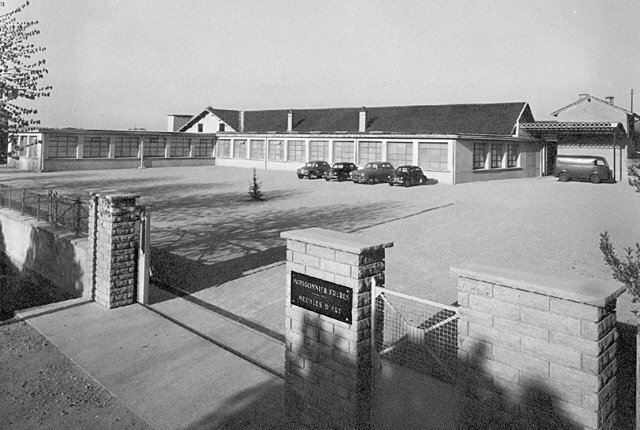 In 1976, the third generation, represented by Jean-Loup Moissonnier, took over the firm. 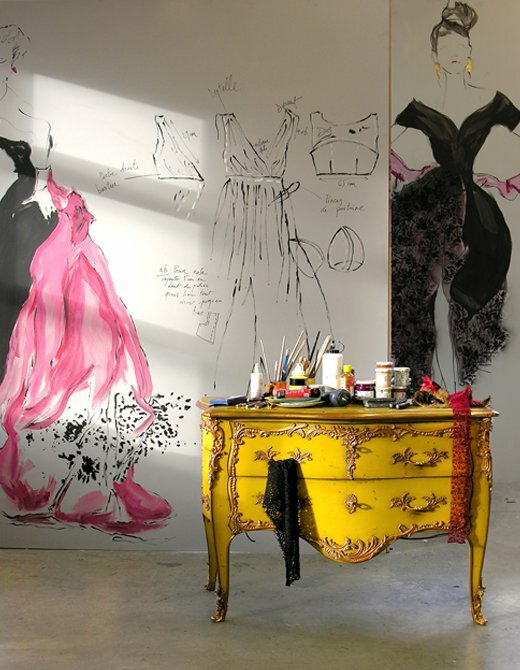 A furniture-maker by birth, he first made his name in Paris as a fashion photographer and painter. Being a keen fan of bric-à-brac and vintage and passionate about the charm of old furniture, he steered Moissonnier towards reproduction of classic European pieces. He chose models he fell in love with at auctions and flea markets and skilfully reproduced their structure and patina. This was a first step to inventing a genuine style, in collaboration with his wife, arising out of an osmosis between periods and cultures. 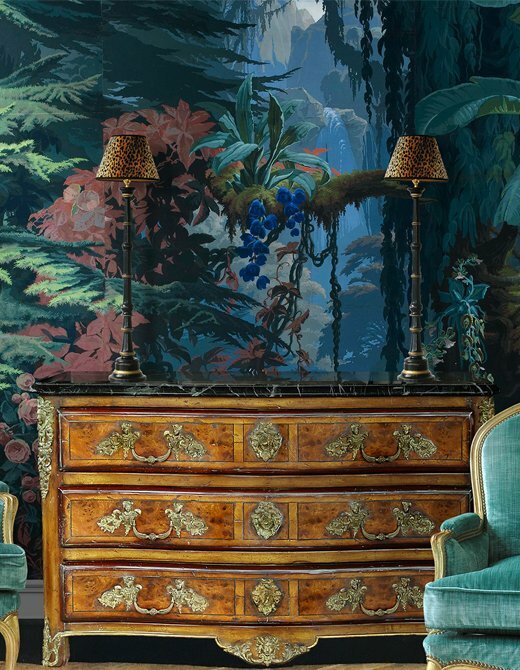 The launch of the chest-of-drawers L.XV REF.573, iconic piece of the collection. This emblematic model of Moissonnier spirit is a real inspiration for Annie Pierre Moissonnier, artistic director of the firm. She likes decorate it with patines and original hand-painted decoration. Opening of Moissonnier showroom in Paris. 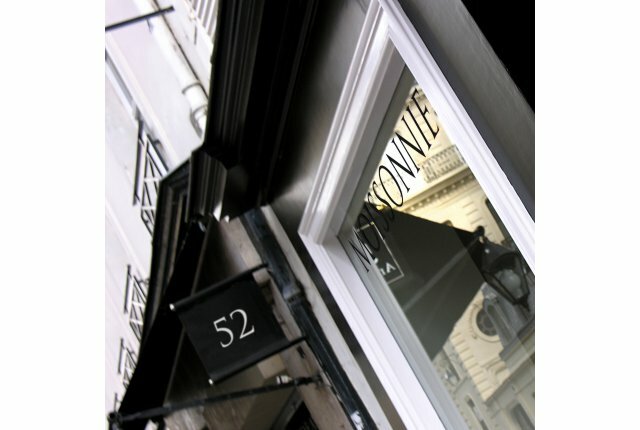 Moissonnier opens its showroom in Paris, in the 7th arrondissement, at 52, Rue de l’Université. This is an ideal location, between the antique shops along the edge of the Seine and the designer names of the Boulevard Saint-Germain, for a brand whose creations result from a catalogue of historic forms, an amalgamation of contemporary inspirations. The 200m2 space divided over two levels presents a selection of pieces in various styles, with the latest creations sitting effortlessly alongside the brand’s emblematic models. First participation to M&O fair in Paris. 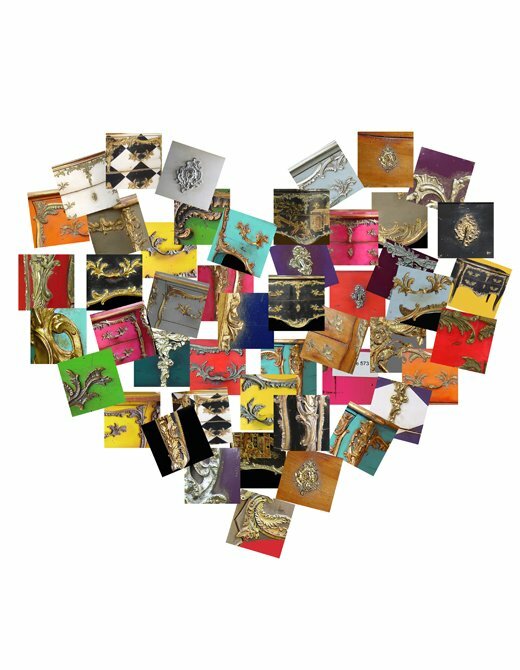 Like a haute-couture show, Moissonnier stamps each year a thematic collection in a universe which expresses all the creative audacy of the brand. Moissonnier "Entreprise du Patrimoine Vivant". Since 2010, Moissonnier has been labelled an "Entreprise du Patrimoine Vivant" (living heritage company). The Bourg-en-Bresse furniture-maker sees this as recognition for the work carried out on a daily basis by its craftsmen, using their increasingly rare know how. The luxury of the special order at Val d'Isère, cottage Marco Polo. 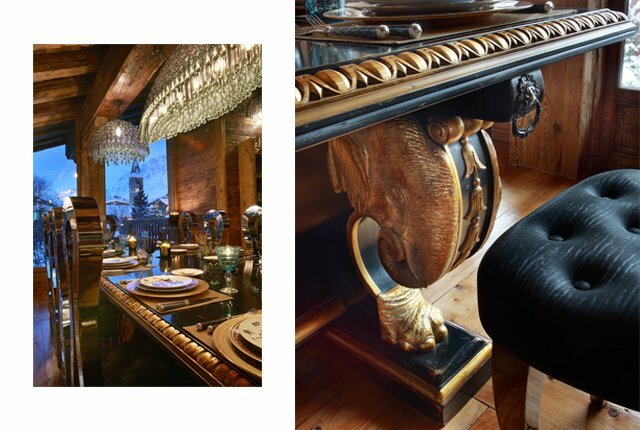 Moissonnier stamps extraordinary furniture for Marco Polo cottage, the ultimate luxury. Opening of Moissonnier showroom at Beijing. 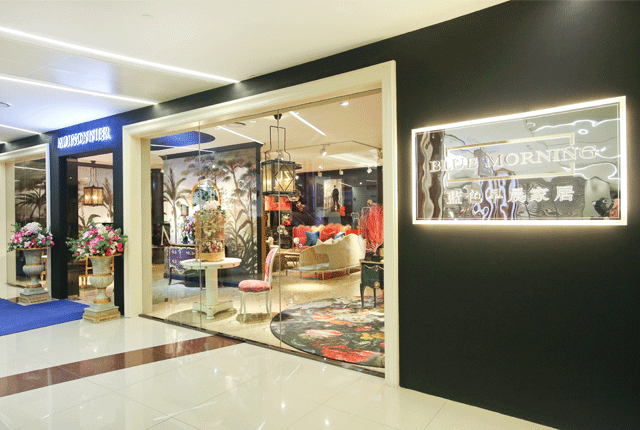 Blue Morning, the Chinese importer of prestigious names in Eropean furniture, is opening the first Moissonnier showroom in China, at Beijing's Easy Home Design Center, reserved for imported home-design and decor brands. 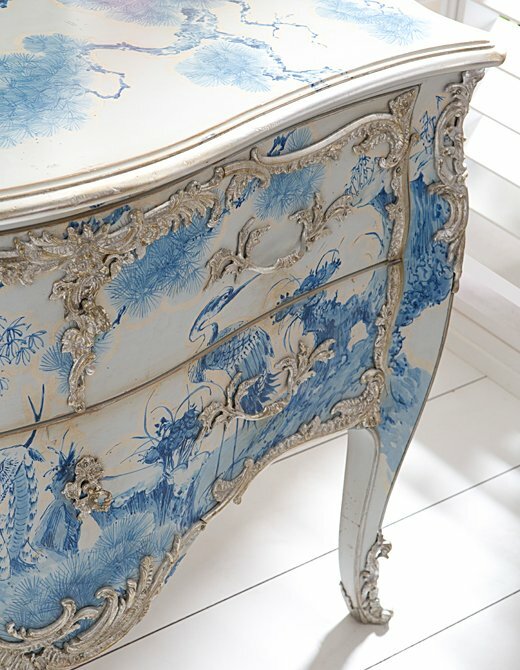 With Moissonnier, Blue Morning again broadens this horizon of European excellence, presenting collections combining the nobility of château-style furnishings with daring colour and design. Moissonnier celebrates its 130 years at REVELATIONS fair. 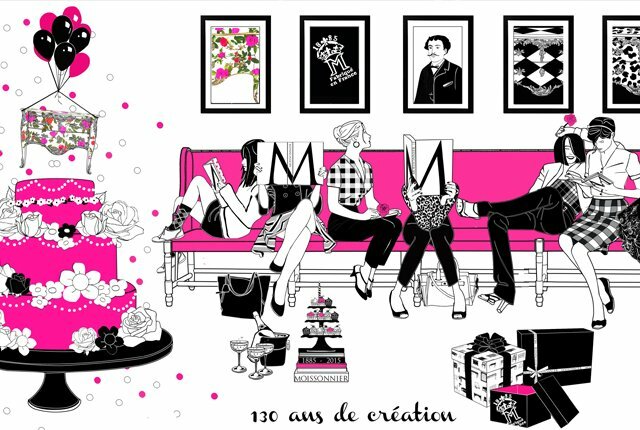 Moissonnier celebrates its 130 years participating to the Revelations fair, the fine craft and creation biennial at Paris. 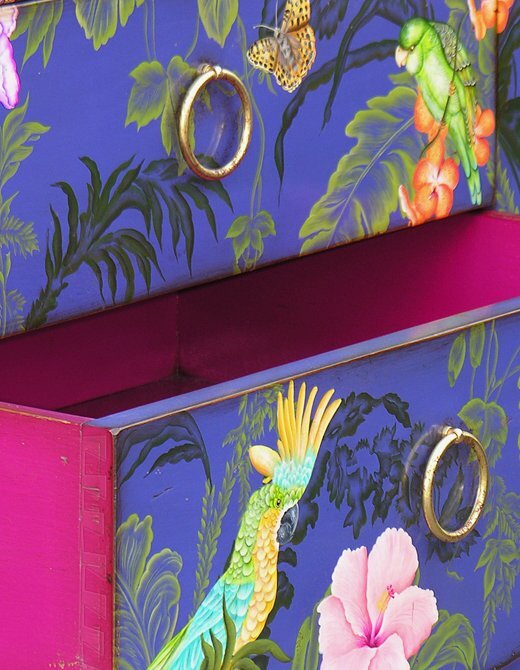 Again the stunning backdrop of the Grand Palais, the French manufacturer presents the iconic 573 chest-of-drawers painted by Caroline Moissonnier, in the spirit of a great arty bunch of flowers. 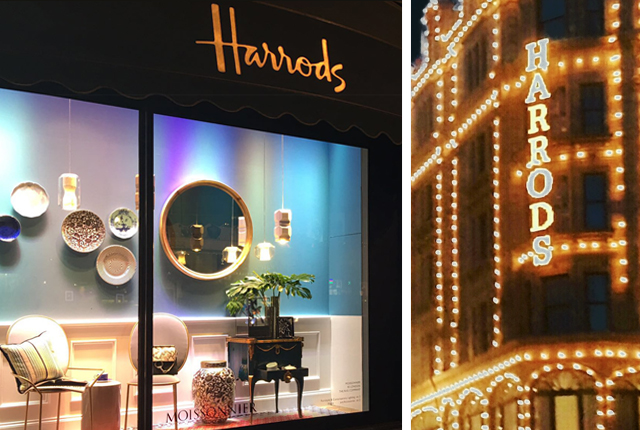 The Must of French furniture is coming to the Mecca of London shopping. 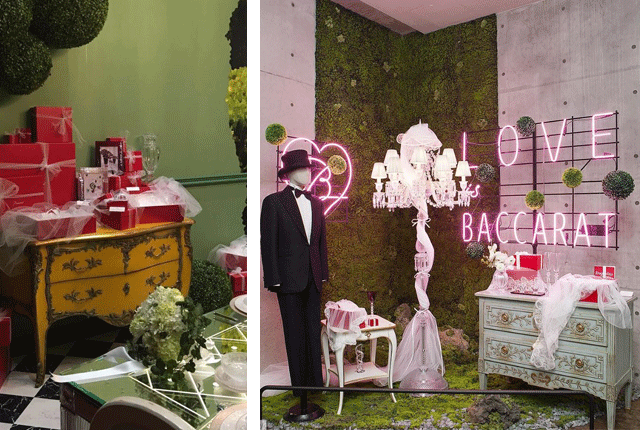 The designer furniture-maker presents its collections in a 60m2 corner/shop-in-shop on the third floor of the store. Its display is renew twice a year and includes new products and reinterpretations of iconic models from its four families of finishes : waxed wood, patinas, wall paper and personalised decorations. Opening of Moissonnier showroom at Shanghai. 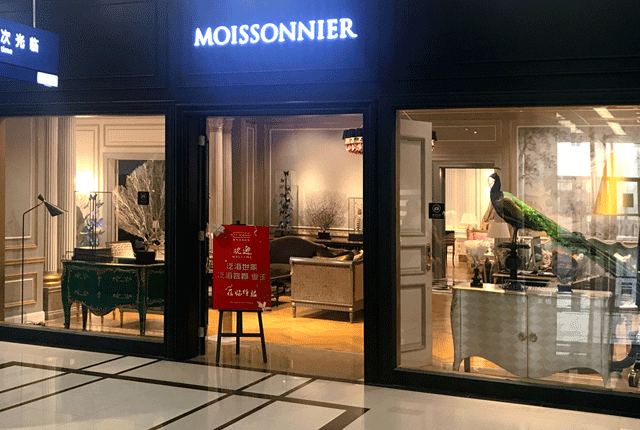 Moissonnier, with the support of its Partner Blue Morning, a Chinese importer of prestigious furniture brands, launches its second showroom in China, located in the heart of Shanghai's Changning District, at JSWB Mall, a shopping center specialising in high-end furniture. Opening of the showroom Moissonnier in Vancouver. In november 2016, Moissonnier opens its first showroom in North America, in Canada. With the support of Mana and Nader Mobargha, settles in Vancouver. 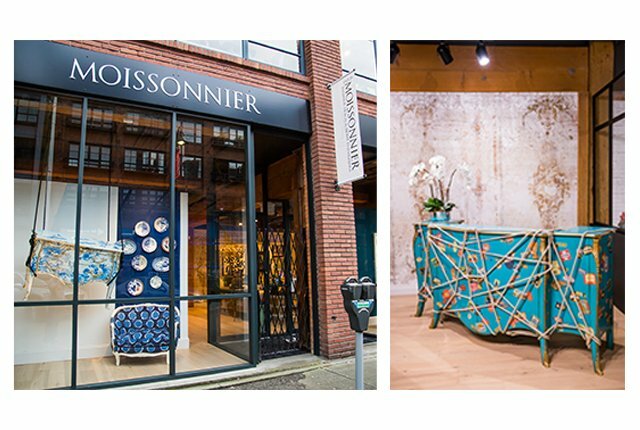 Located on Mainland street in the heart of Yaletownthe new Moissonnier showroom presents the collection's most iconic furniture, which reinterpret a variety of historic French styles with a trailblazing approach to aesthetics. Moissonnier, guest for the Baccarat home. The chest-of-drawer L.XV Moissonnier is submitted in hotel living room at Paris. Many thanks ! 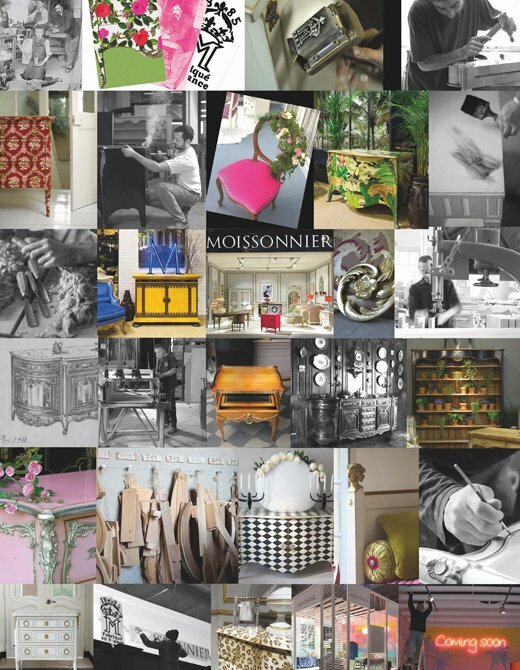 Moissonnier participates for the first time to the Salone del Mobile at Milano. 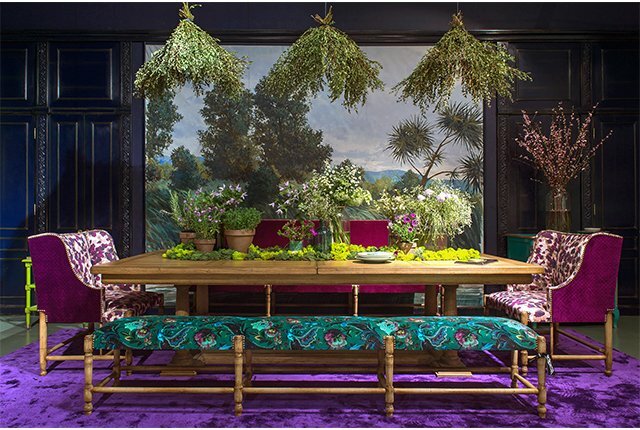 For the very first time this year, Moissonnier is exhibiting in the luxury hub of the Milan furniture fair. 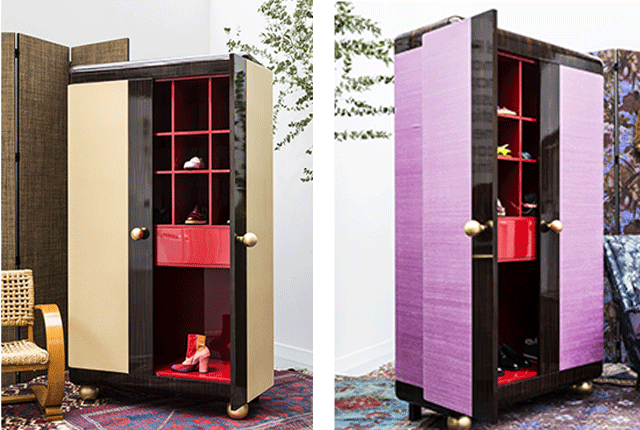 Moissonnier has called upon Michel Perry, J.M Weston's Creative Director, to design a shoe-cabinet. The result was bound to surprise ! 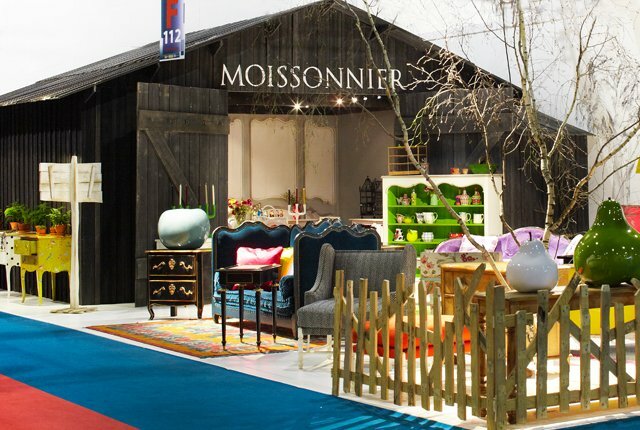 Moissonnier participate for the first time at PARIS DECO OFF. Our L.XVI chest-of-drawers is presented in XXL large format. Let's imagine a chest-of-drawers of 2M ? Moissonnier did it ! 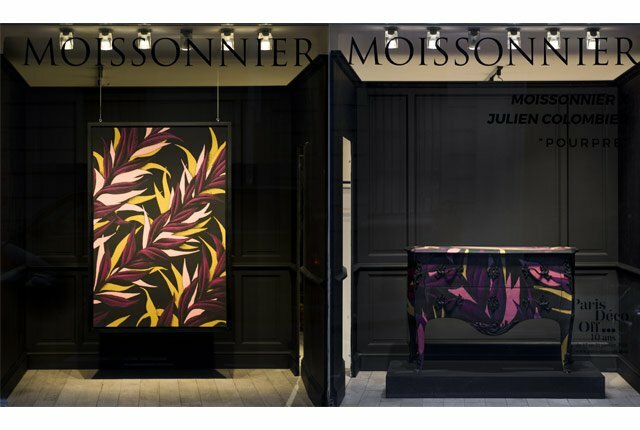 Moissonnier collaborates with the artist Julien Colombier. 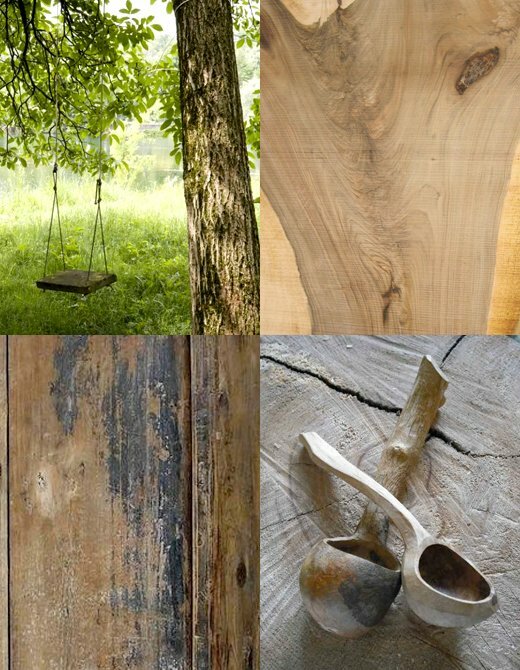 On the one hand, there is wood-patiently and lovingly dried, peeled, carved, assembled and finished with patina. The pursuit of the right shape and shade,motif to make the design truly pop. Moissonnier's expertise. On the other, a fantastic jungle, elctrifying colours, and a way with the trade that brings a whole other dimension to the art of painting. And that is Julien Colombier's art. The artist painter and Moissonnier have collaborated together to create a new version of the 573. Defying accepted codes without breaking the rules. That's the Moissonnier way. And the results are remarkable. 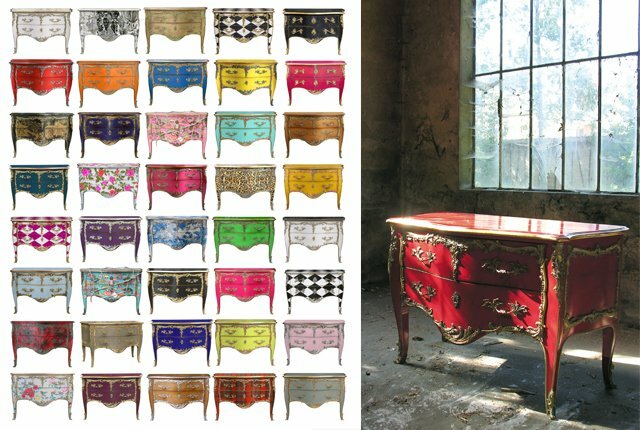 Princely furniture dressed in denim, and chests of drawers worthy of a Countess in shocking pink. There’s no stopping this cabinetmaker, except a commitment to traditional construction and the choice of exceptional finishes. Moissonnier luxuriates in the best woods. French native species sourced from sustainably managed woodlands, including oak, walnut, cherry, beech, lime and checker tree wood. 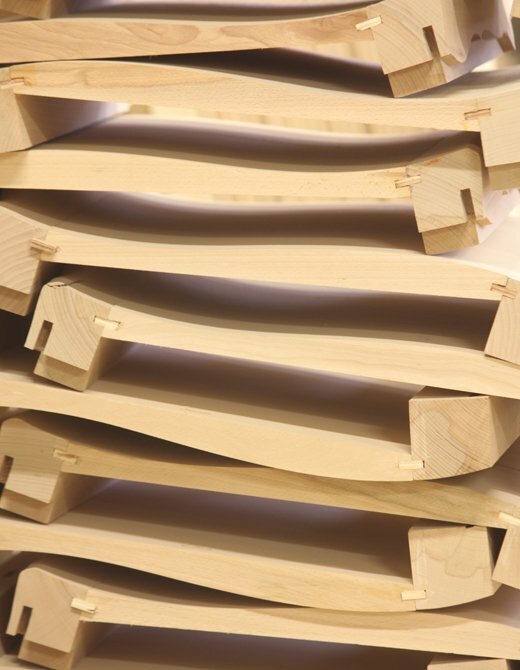 Each log is patiently seasoned in the workshop before being selected to become a solid component of a piece of furniture or high-quality detailing. Often sourced from much further afield, burr elm, burr walnut, ebony and boxwood are used in the form of veneers applied using traditional marquetry techniques. Gently iconoclastic, Moisonnier marries the touch of wood with the visual vibrancy of colour. Its range of colours is incomparable. It coins names ranging from the noble to deliciously indulgent to delight the forms of the past by giving them a totally contemporary vitality. 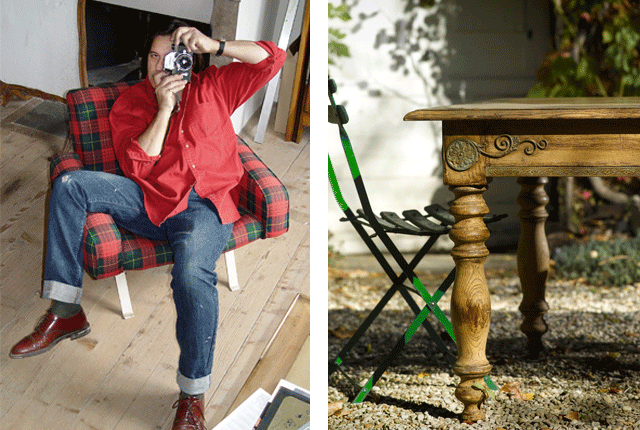 Moissonnier sees every piece of furniture as a surface for artistic expression. Its painted decoration transcends the object. It draws us into prolifically imaginative worlds. Delicately applied by hand, its inspiration may evoke the eternal spirit of China, the Mexico of Frida Kahlo or even summer in Palm Springs. There is no limit to the potential of line, stroke and colour. 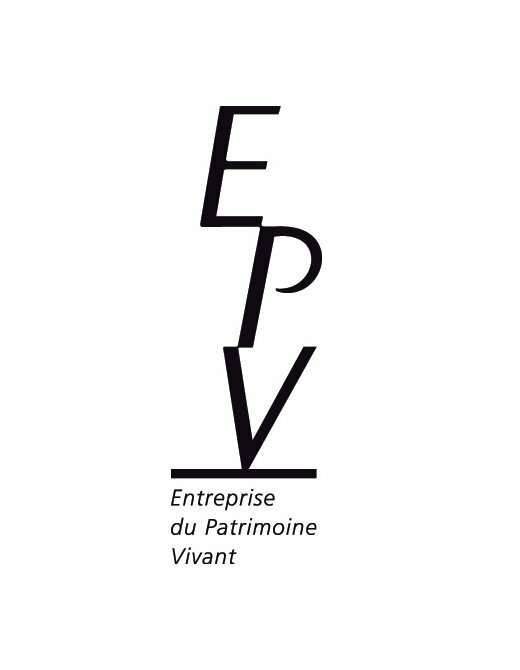 The EPV label marks national recognition of French companies whose traditional skills perpetuate the living heritage. Moissonnier brings those skills together within a unified culture of innovation. 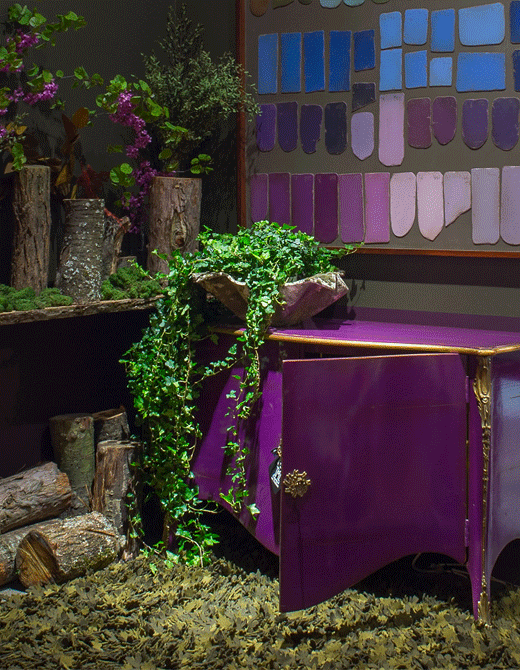 By combining colours, paint finishes and details the cabinetmaker reinvents the heritage of form to interpret it for today’s world. A touch of haute couture, a soupçon of audacy and a sip from the cup of history. Moissonnier remixes French and even European heritage. With its roots in the history of furniture, the company launches new fashion trends with furniture evolved for a lifestyle that is deeply knowledgeable, modern and always exceptionally inspired. The template is to the cabinetmaker what the pattern is to the tailor. In its quest for the most beautiful forms of French and European furniture, Moissonnier has amassed an enormous collection of templates taken from historic styles. Its craftsmen are able to use these templates to recreate the precise proportions of these pieces, or evolve them to respond unendingly to the most beautiful and architectural styles. Haute couture runway shows are a continually reinvented source of inspiration for Moissonnier. 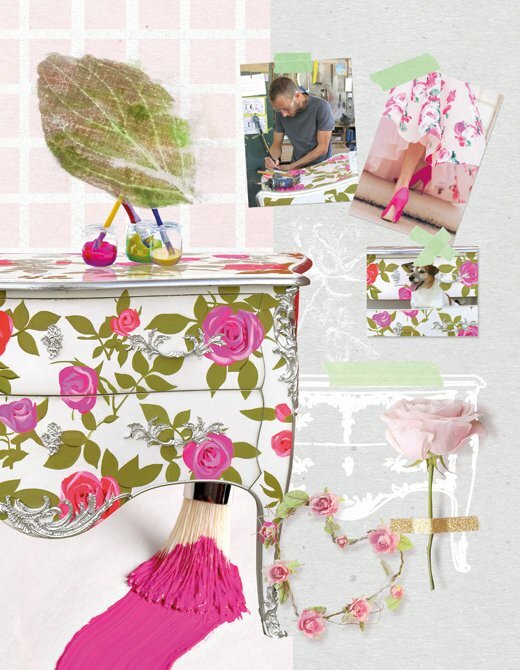 The cabinetmaker-designer draws on these glittering events not only for patterns and colours, but also for the choice of fabrics to be used in order to match its flagship pieces to the look of every new season. Moissonnier covers the world. 80% of its sales are made in international markets, and the brand has showrooms in Paris, Moscow, Shanghai and Seoul. 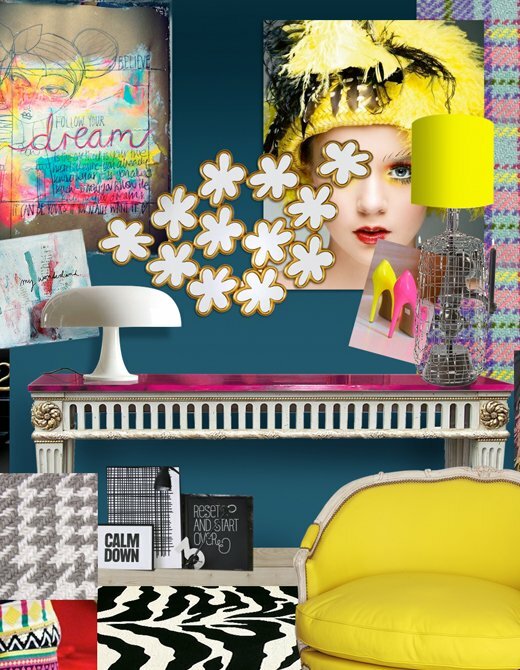 A dresser covered with denim, stickers from the other side of the world or flashy colours: energy is an important part of Moissonnier style, and one that brings joy to the heart of the Happy Few. Never less than eclectic, Moissonnier style builds bridges between the decorative arts and designer fashion. At the crossroads of style, every piece is itself a new source of inspiration ready to dialogue with a multitude of trends. The Moissonnier stamp is the very imprint of French luxury. Achieved through a combination of painstaking expertise and constantly renewed creativity, it conveys a particular lifestyle that prefers sophisticated detail to gratuitous ostentation. Moissonnier pieces are designed and crafted entirely in Bourg-en-Bresse, South East of France using carefully selected materials sourced nationally, wherever possible. Because they have total control over their own production, the workshops of Moissonnier are able to offer an extremely responsive service and maintain an exceptional level of quality down to the finest detail. In addition to the colours that have come to characterise Moissonnier style, the company also produces pieces that celebrate the natural beauty of the finest woods, such as walnut, oak and cherry, waxed or stripped with real care. Similarly, when it comes to creating its patinas, Moissonnier searches for effects that mimic the work of time to convey the feeling of ageing that is both charming and spontaneous in equal measure. 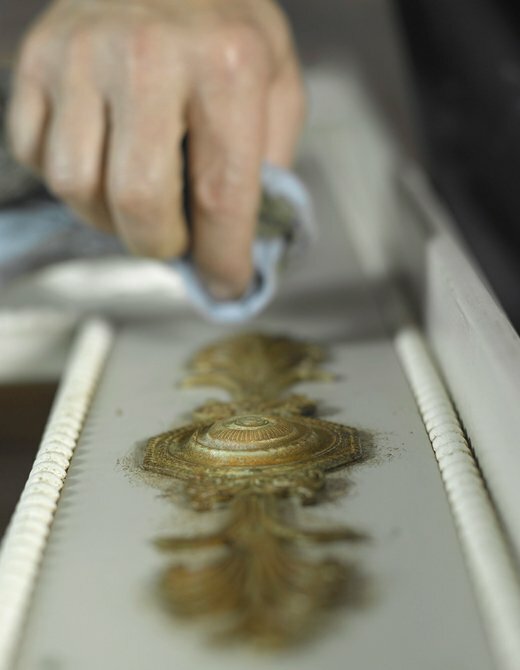 Sculpture and bronze details cast using the lost wax method, perhaps gilded, silvered or oxidised, are just some examples of the ornamentation that puts the precious final touches to Moissonnier pieces, which also creates its own bespoke wooden details for architectural ornamentation. One of the most distinctive trademarks of Moissonnier. 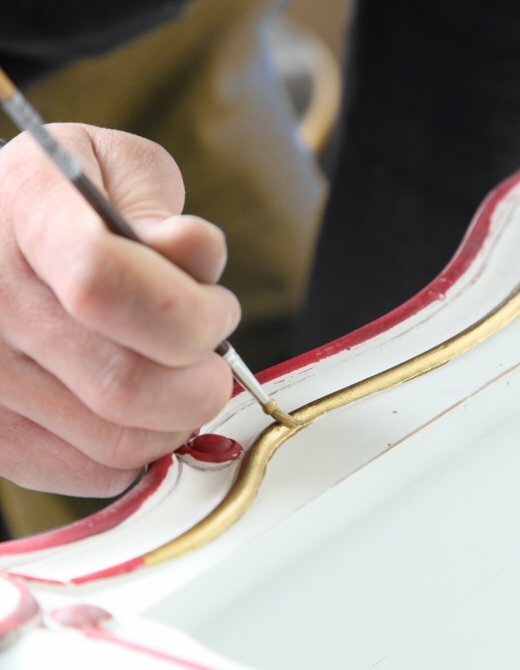 Ever since the 1950s, the cabinetmaker has specialised in painted decoration and patinas that give its pieces the expression of authentic ageing. 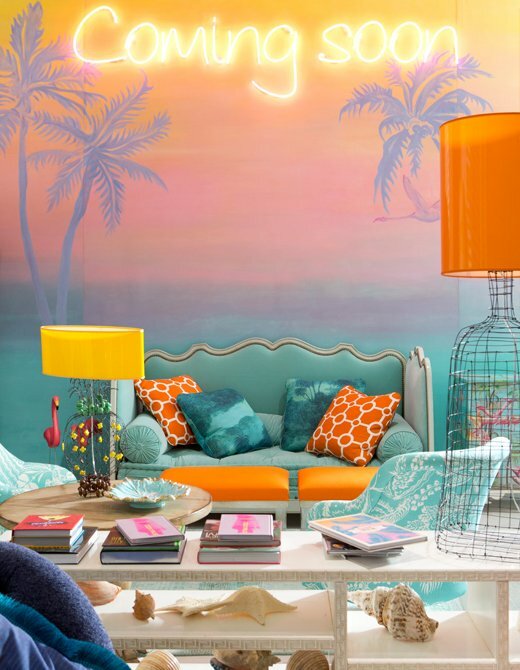 This expert work makes every piece unique and facilitates subtle gradations of colour and effects to create a level of charm associated with age. The quality is in the detail. Dovetail joints are a clear sign of strong construction in a piece where components are united by a mechanical joint. Solidly interlocking with each other, their distinctive bird’s tail shape has given rise to their name. The birds that were referred to as doves in the Middle Ages are what we refer to today as swallows; a fact that reminds us of the centuries-old tradition of this technique. Tasteful contrast lining is one of those details that gives Moissonnier pieces their unmistakable elegance. 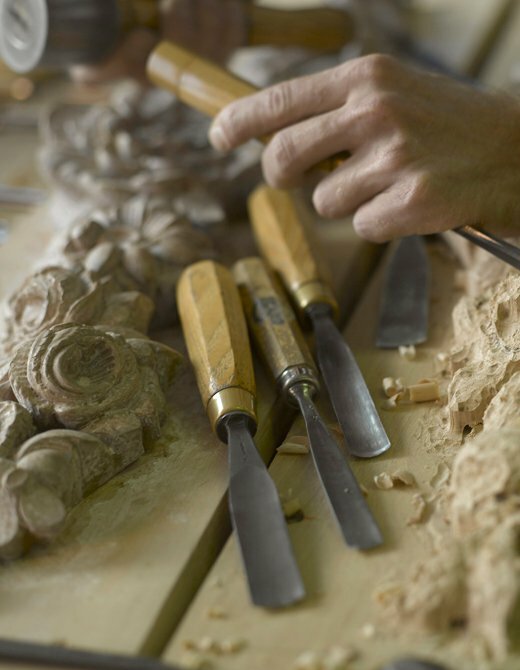 Rechampis is a technique that further enhances this quality through the choice of a background colour that will bring out the beauty of the sculpture or moulding applied to a piece. 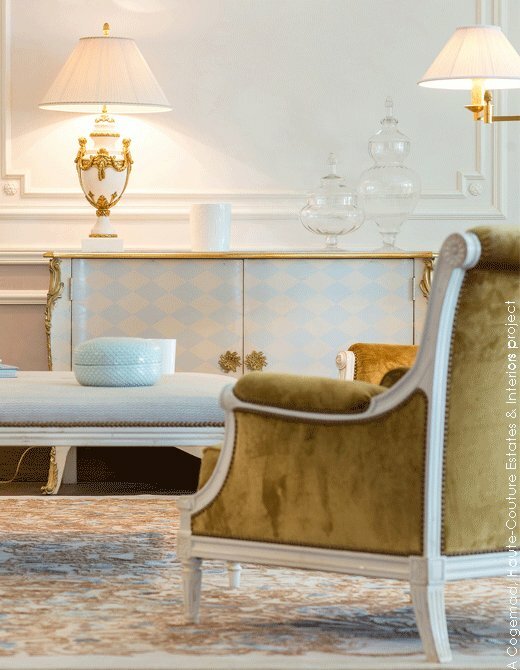 Moissonnier expertise does not end with the creation of unique furniture pieces. 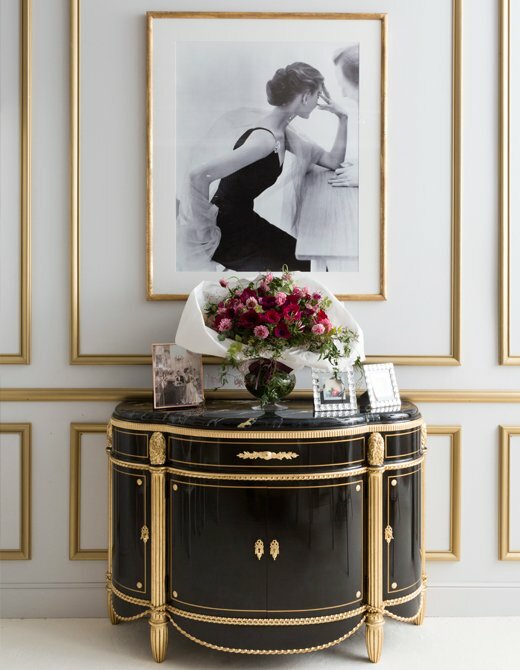 Right around the world, the cabinetmaker delivers comprehensively bespoke interior decoration projects. In addition to furniture, panelling and other decorative features in wood, it works alongside fellow artisans and brands to define comfortable, personalised interiors with typically French touches. Like the dovetail joint, mortise and tenon assembly is a traditional cabinetmaking technique. It is used exclusively with solid wood. Combining clean aesthetics with real strength, it delivers a particularly sophisticated finish. Every Moissonnier piece is produced to order in response to the particular desires of individual clients. Their size, colour and patina are all adaptable, and every piece can be further personalised with exclusive paint finishes. Like every art object, they are individually distinctive for the subtle variations that make each piece unique. This cherished finish demands expertise and patience in equal measure. An essential craft in the world of stringed instrument making, it gives antique furniture its characteristic soft shine. 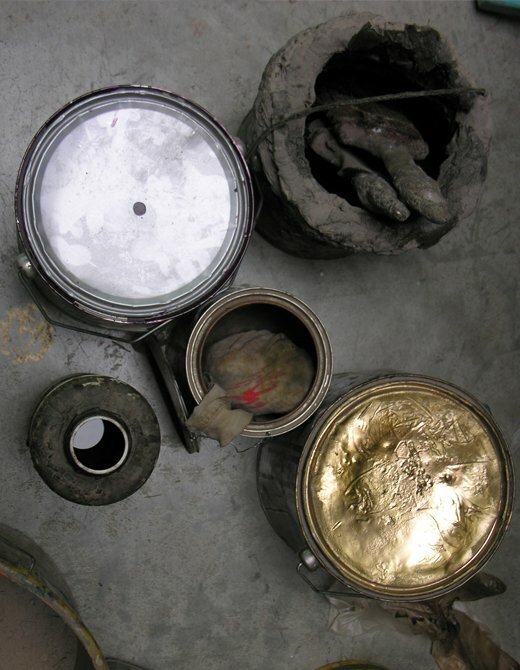 The technique involves a series of stages using ingredients as unexpected as shellac, which is made from a resin secreted by insects living in the forests of India and Thailand. Just like an art piece, a Moissonnier furniture piece brings any interior decorative style together and takes it to another level. This ‘Wow’ effect is made possible only by pieces whose quality is instinctively perceptible. 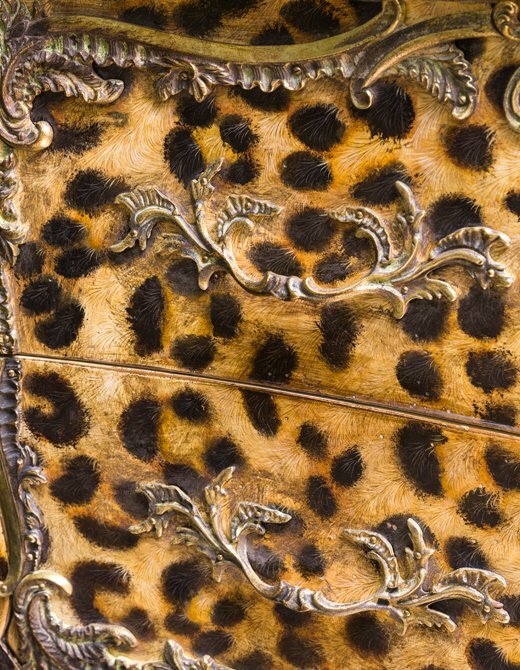 In its constant quest for perfection that typifies the very best counterfeiters, Moissonnier takes care to reproduce the damage caused by wood-boring insects (xylophages) by creating the tiny holes seen in all antique furniture. Moissonnier loves nothing better than a new twist. This aspect of its character is what makes the difference, amazes and delivers real emotion. Just like the zazous of Saint-Germain-des-Prés from whom the house borrows its chic extravagance. 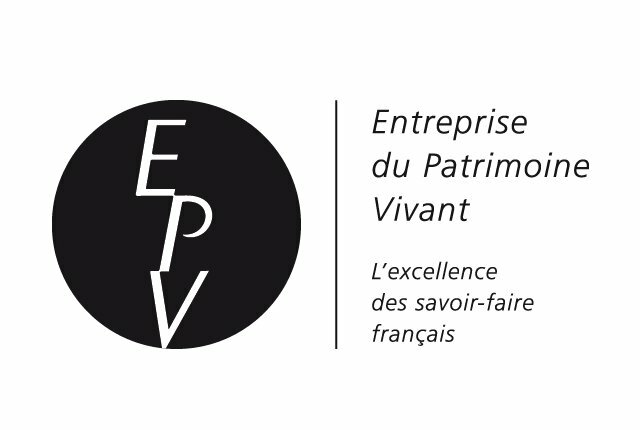 Ateliers d'Art de France and Entreprise du Patrimoine Vivant. Moissonnier is a member of the Ateliers d'Art de France, a group representing the arts and crafts sector, promoting it in France and abroad and supporting member companies in their development. Since 1910, Moissonnier has been labelled an "Entreprise du Patrimoine Vivant" (living heritage company). 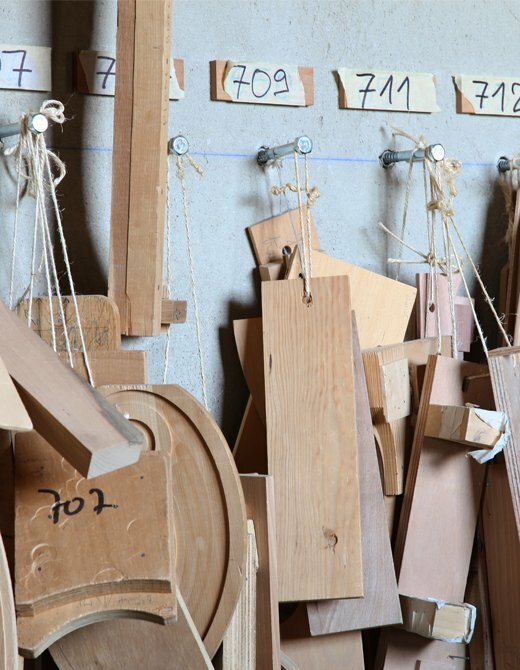 The Bourg-en-Bresse furniture-maker sees this as recognition for the work carried out on a daily basis by its craftsmen, using their inscreasingly rare know-how. 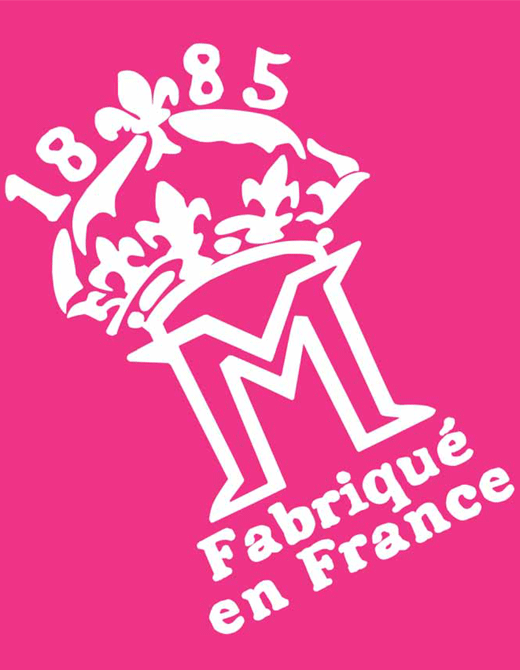 This distinction, garanted by the French Ministry of the Economy and Industry, recognises and supports firms with a history and heritage, sometimes centuries old, as well as the capacity for innovation and rare know how which have helped establish their reputation in the French entrepreneurial fabric. 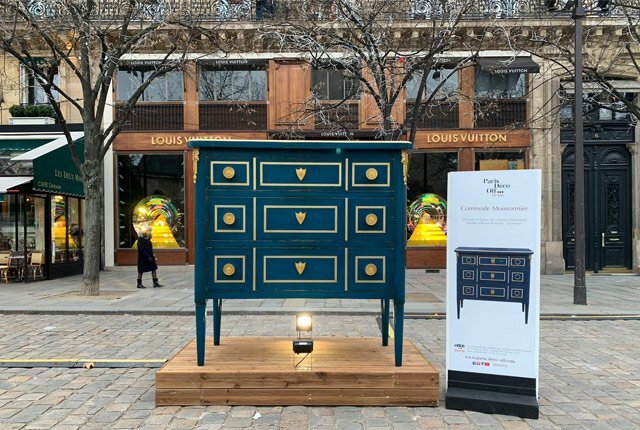 In order to ensure the long-term furniture of its business, Moissonnier makes it a point of principle to respect the environment. The firm has therefore established very precise specifications for its procurement of wood. For instance, 90% of Moissonnier's supplies come from saw mills located near to the company, within a radius of less than 30km, in order to reduce its carbon footprint. The company which supplies 60% of all stock, specialising in beech, is located 5km from Bourg-en-Bresse and is PEFC and EC labelled, favours natural irrigation in isolated surroundings and recycles 100% of its waste. Moissonnier also favours the use of untreated wood, as does this supplier, based in the heart of the Saint-Marcellin walnut forest, in the Dauphiné region of France, since 1822 and labelled an "Entreprise du Patrimoine Vivant", only working with untreated walnut and regional varieties. Unlike 98% of the market, the logs and batches purchased are not chemically-treated in a tank, they have a traceable source and they come from sustainably-managed French forests.